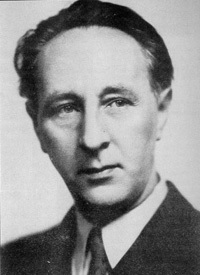 Despite the fact he spent his last two decades in exile, Bohuslav Martinů (18901959) was among the most prolific composers of the twentieth century. Born in a church tower above the CzechMoravian Highlands, he established himself in both Prague and Paris before the Nazi invasion of France forced him to flee to the United States. He became a star in the U.S. during the 1940s, but returned to Europe permanently in 1956. His folkcantata The Opening of the Wells (1955) became enormously popular in Czechoslovakia, dealing with themes of purity, rebirth, and the pain of exile. Bohuslav Martinů was a Czech composer of AustroHungarian, Czechoslovak, and then American citizenship. His father's dual occupation of fire watchman and shoemaker accounts for his childhood living atop the tower at St. Jacob's Church in the Eastern Bohemian town of Polička. Later in life, Martinů explained the objectivity of his music from this early experience, seeing people and places only from afar. He left Polička for Prague in 1906 to study violin at the Prague Conservatory. A hopeless student, he was expelled and lived a Bohemian existence in the Czech capital, devoting his time to reading and composition. He deputized with the Czech Philharmonic before playing three seasons (192023) as a full member under Václav Talich. Feeling restrained by Prague's musical life, Martinů left for Paris in 1923 and resided there until France's capitulation to Nazi Germany in 1940. His success in America and the uncertain situation of the Third Czechoslovak Republic (194548) led him to remain in New York after the end of the war. A crippling accident in 1946 and the communist coup in 1948 further discouraged him from traveling to Czechoslovakia, where, according to Soviet socialistrealist pretexts, he was quickly condemned as a formalist and emigrant traitor. In 1952, Martinů became a naturalized U.S. citizen, prohibiting him from visiting the countries of the Soviet Bloc. His oneyear engagement at the American Academy in Rome formed the pretext for him to resettle in Europe in 1956. The Paul Sacher Estate in Switzerland became his final residence; he died in nearby Liestal of stomach cancer in 1959. Work on his opera The Greek Passion, which resulted in two different versions (1957, 1959), formed the thread of his creative activity throughout his final peripatetic years. Although Martinů's stylistic development parallels the trajectory of many early twentiethcentury modernists, his rationale for breaking with the Romantic tradition was grounded in the debates about Czech national music. Gaining considerable influence over Czech music criticism in the early twentieth century was the neoromantic, socialist music critic Zdenĕk Nejedlý and his school. The Nejedlý School championed Smetana as the single point of departure (to the exclusion of Dvořák) and upheld a system of values reflecting the WagnerMahler trajectory. Martinů actually contributed to this vein of national music with his patriotic cantata Czech Rhapsody (1918); composed in the jubilant atmosphere of national independence, it bears the clear influence of Smetana's Libuše and the pathos of Mahler's symphonies. Otherwise, his development from the 1910s onwards shows his systematic appropriation of French modernisms, beginning with Debussy and Roussel. After taking residence in Paris to study under Roussel, he was surprised by the extent of Stravinsky's influence and a general flux in stylistic orientation due to frenetic experimentation. He became the leading Czech music correspondent in Paris, relating his discoveries about the Parisian music scene to the Czech cultural press. In his essays from this time, he frequently commented on the outdated and Romantic musical values he felt still persisted in Prague's musical life. Among the earliest results from his Parisian years was his orchestralrondo Halftime (1924), a work clearly inspired by Stravinsky's Russian ballets. Although he defended the work from being a Stravinskian plagiarism, his polemical essays imply his desire to provoke the Czech critics with the sounds of the Parisian milieu. Halftime was premiered in Prague in December 1924 by the Czech Philharmonic under Václav Talich, who would remain Martinů's most powerful ally at home until the fall of the First Czechoslovak Republic in 1938. The duality of devoting his attention to cosmopolitan developments and his position at home continued throughout his life. Notable from the later 1920s is a string of Dadaistinspired stage works that incorporate the sounds of the Parisian cabaret. His works for the Czech Theater during the 1930s culminated in his surrealist opera Julietta, or the Key to Dreams (1937), premiered under Talich at the Prague National Theater in March 1938. Dissonant neoclassicism pervades his instrumental works from the 1930s; here the eighteenthcentury concerto grosso served as his guiding principle. His Double Concerto for Two String Orchestras, Piano, and Timpani (1938) forms the climax of this trajectory, a work reflecting the ominous atmosphere as Nazi forces tightened their grip on Czechoslovakia. The summer of 1938 was his last visit to Czechoslovakia; it was due largely to the fascist and communist regimes that took control at home that he spent the remainder of his life abroad. For his patriotic cantata The Field Mass (1939), written for the Czechoslovak Army Band in France, he was blacklisted by the Gestapo, who broke into Martinů's apartment one day after he fled Paris for Southern France with his French wife Charlotte. Following six months of uncertainty, he obtained the necessary paperwork for transit via Spain and Portugal to New York, where he would work for the next thirteen concert seasons. Martinů never ranked in the top echelon of Parisianbased composers, but patronage by top musical personalities in the U.S. such as Serge Koussevitsky brought him to the forefront of the American musical world. Embraced by the major East Coast orchestras were his Symphonies Nos. 15, composed each year during the summers from 194246. His numerous new chamber works were published and received regular performances at this time. A continuously ametrical style, guided by phrasing rather than meter, forms a new characteristic in his music, an influence of sixteenth and seventeenthcentury polyphonic genres; portions of his Symphony No. 1 (1942) and The Madrigal Sonata for flute, piano, and violin (1942) can be cited as examples. Another new element is a cadential progression borrowed from his opera Julietta, which he continued to employ in numerous works until his death: the progression, often called the Julietta Chords, is a kind of plagal cadence from a dominant 13th chord on the subdominant to the tonic, which he often repeats immediately thereafter a wholetone lower. By the 1950s, he developed a more rhapsodic style in a neoimpressionistic idiom; fine examples of such works featuring an expanded orchestral palette and greater focus on instrumental texture include Fantaisies Symphoniques Symphony No. 6 (1953), Piano Concerto No. 4 Incantation (1956), and Estampes (1958). His renown on the East Coast brought him to many leading music institutions as a pedagogue; by the end of his American period, he had taught at Tanglewood, Mannes, Princeton, and Curtis. A nearfatal fall from an unprotected terrace in the summer of 1946 while on staff at the Berkshire Music Festival resulted in partial deafness in one ear for the rest of his life. His defense of French modernism in the Czech press during the interwar years brought him into direct conflict with the Nejedlý School, but little could he have known that he was sowing the seeds for his later disenfranchisement in communist Czechoslovakia. From 1945 through the early years of communist dictatorship, Nejedlý held key positions in the cultural ministries, leaving the administration of national musical life to a third generation of Nejedlý disciples. By this time, the Nejedlý School also took their cues from the latest Soviet decrees. Martinů's music was virtually banned during the earliest years of communist totality, and he was in official disfavor throughout the communist era. Projecting nostalgic sentiment for homeland, his seemingly innocuous folk cantata The Opening of the Wells (1955) was published in Czechoslovakia in 1955 and performed in schools throughout the country; it led to Martinů's posthumous revival and widespread acceptance in the Czech musical community.